My DT project for My Time to Craft. This week's challenge is non-traditional Christmas colors. 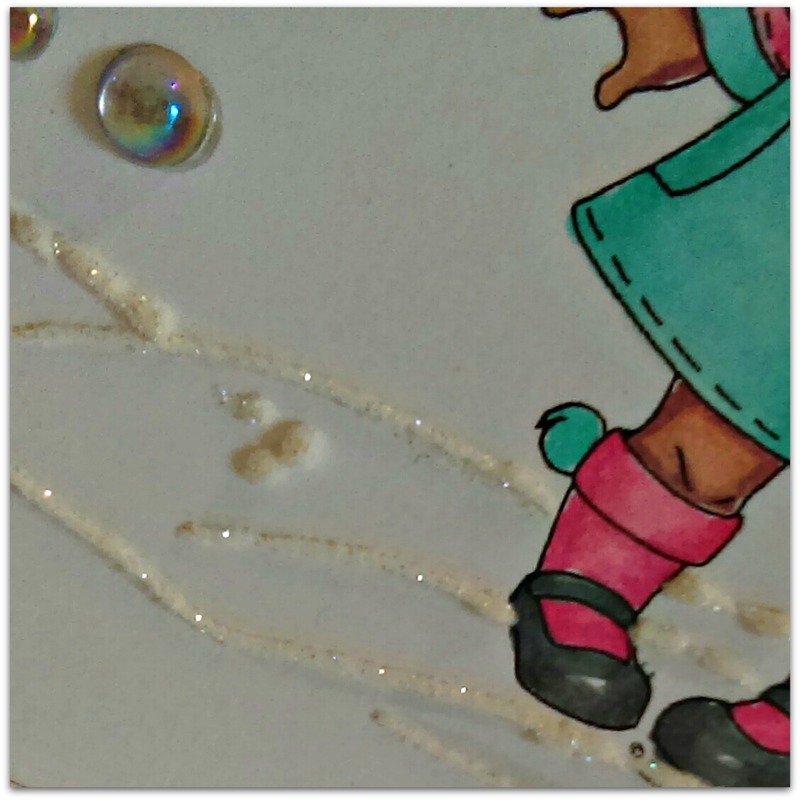 Here's a closeup of the snow using Liquid Applique and Crystal Snow loose glitter. This image is a freebie from Elizabeth Bell's weekly weekend newsletter. The image is colored with Copic markers and, as I wrote earlier, I used Liquid Applique in white and Crystal Snow loose glitter for snow beneath her feet. The baubles are from a packet of goodies I received from Kraftin' Kimmie Stamps. What a darling image! Just love your snow and snowflakes! So pretty! Thanks for entering at Connie can Crop! What a sweet card, that image is totally darling it takes me back to the 50's. Thank you for joining us at Connie Can Crop. This is great! Thanks so much for joining us at Connie Can Crop! Adorable! I love your little girl! Thanks for joining us at Connie Can Crop's monthly challenge!